Dogs show us lots of love every day. Here’s an exceptionally healthy way to love them back! We took our Original Chicken & Brown Rice Recipe dog food and turned it into a heart shaped, bite-sized treat. This protein-first recipe contains select cuts of organically raised chicken along with highly digestible brown rice. It’s formulated with cutting-edge ingredients like turmeric, apple cider vinegar and ginger plus natural probiotics for proper digestion. 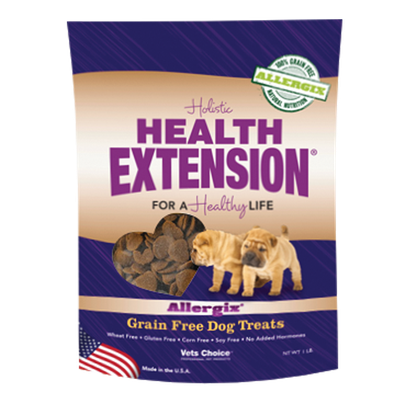 When you reward your dog or puppy with Health Extension Heart Shaped Treats, you know they’re getting complete and balanced nutrition in every bite.